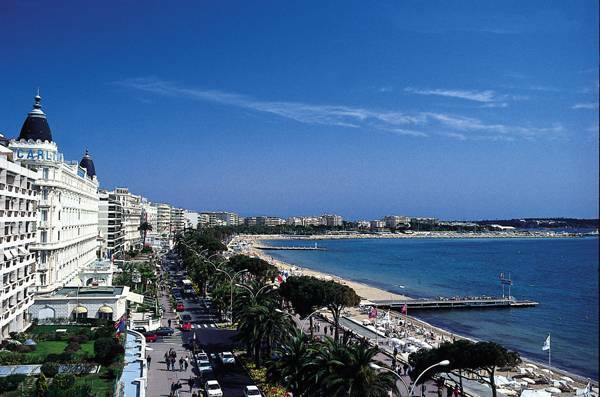 The Screen Advertising World Association (SAWA) has announced the theme for this year’s much anticipated session at the Cannes Lions Festival of Creativity, held 15-21 June in Cannes. The Back to the Future focus is a recognition of the milestone that in the second film of the BTTF trilogy Marty McFly and Doc Brown travel from 1985 to 2015, couple with the fact that 2015 looks set to be one of the greatest box office years on record. Called ‘THE CINEMA MEDIUM – THE PORTAL TO THE FUTURE’ the session will take place on 16 June, the first full official day of the 2014 Cannes Lions. It will be held at the Salle Estrelle, which has been SAWA’s window to the creative community that flocks to Cannes Lions for the ninth year in a row. Cinema has been showcasing the future use of technology in movies since film first arrived, in that tradition SAWA will run a 45 minute innovation showcase connecting the past, the present and the future of products and brands proving that Cinema truly is “the portal to the future “. It will highlight the new and innovative ways the integration of technologies can connect advertisers and brands with rich entertainment content in 2015. SAWA’s past seminars are unique in that they are regularly voted on the Top 10 of the 70+ events features each year at Cannes Lions, despite being up against sessions with ‘star’ names such as Sir Martin Sorrell, Sarah Jessica Parker, Vivienne Westwood and Jack Black. Cheryl Wannell attributes this to “the power of cinema and the breadth of creative innovation on display”. With 87 per cent of cinema in Europe now converted to digital, screen advertising is exploring and exploding the boundaries of how ads can target and engage audiences in key demographics. In recent year this has seen such innovative campaigns as Finch’s Gold Lion winning Pedigree Adoption ad with audiences seeing different films depending on which pair of polarised glasses they were given. There is also DCM and Yummi Media’s Cinime app that connect the big cinema screen to smartphones for interactive quizzes, games, polls, downloads, trailers and rewards. At a time when engagement with the customer is paramount – the captive Cinema audience can now be inspired, enthralled and participate in a way that even Doc Brown would love. Celluloid Junkie is a media partner of SAWA and will be appearing in wrap-around mirror shades on stage at the Cannes Lions session. See you there.